Former Wickham's department store: the Harrods of the East End. 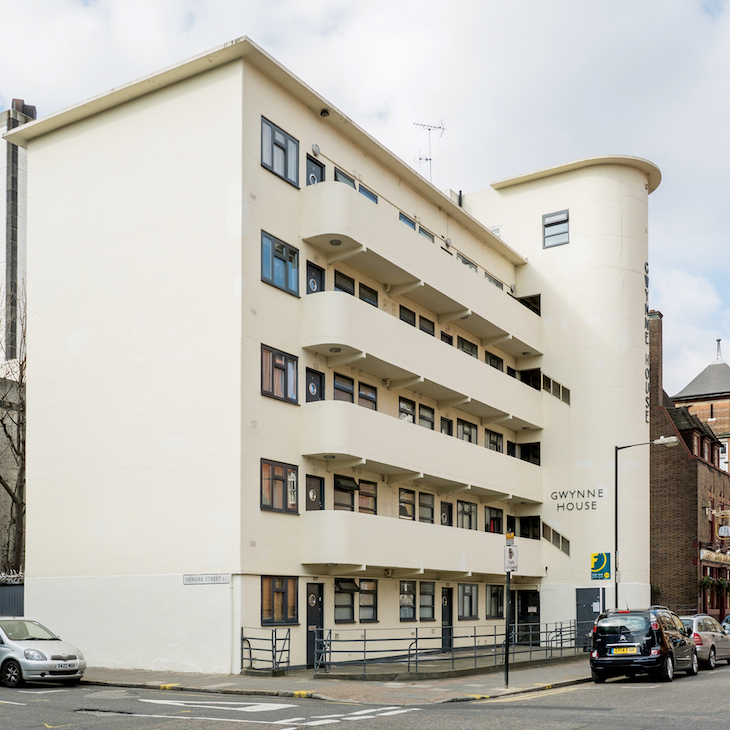 A new book explores the architecture of the East End. 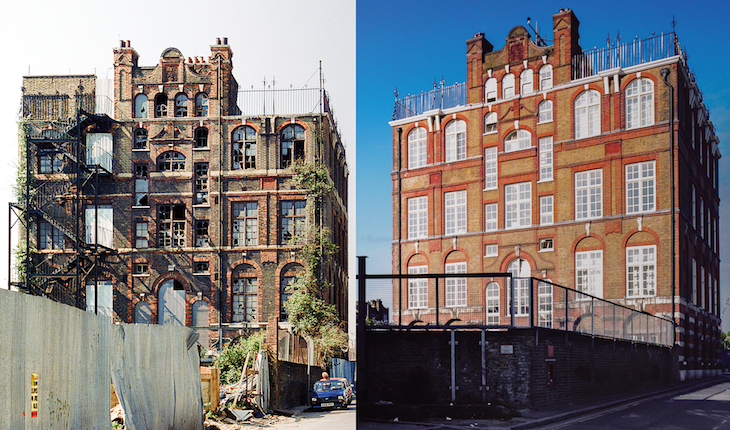 Whitechapel in 50 Buildings, by Louis Berk and Rachel Kolsky, reveals just how handsome and varied the architectural styles of the area are. Here, we pick out six favourites from this beautifully illustrated book. Whitechapel's buildings often wear their history in plain sight. Take Wickham's, shown above. This grand department store opened in the 1920s and was dubbed the 'Harrods of the East End'. But note the gap in the facade, to the right of the tower. Here, the plucky owners of Spiegelhalters refused to sell up, so Wickham's had to build its store around the Victorian premises. The gap remains to this day, though was almost lost in a new wave of development. The book contains many well-known landmarks. 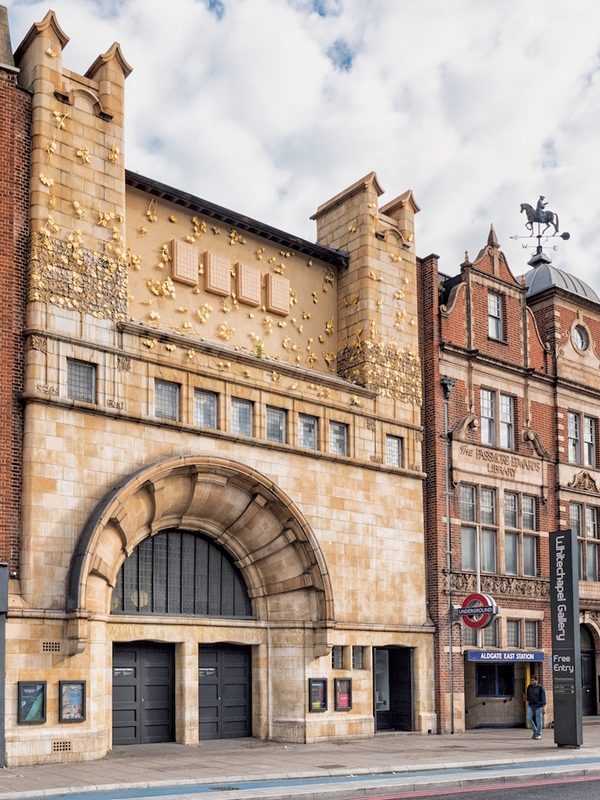 Above, for example, is the distinctive Whitechapel Gallery, designed by Charles Harrison Townsend, who also worked on the nearby Bishopsgate Institute, and Forest Hill's Horniman Museum. 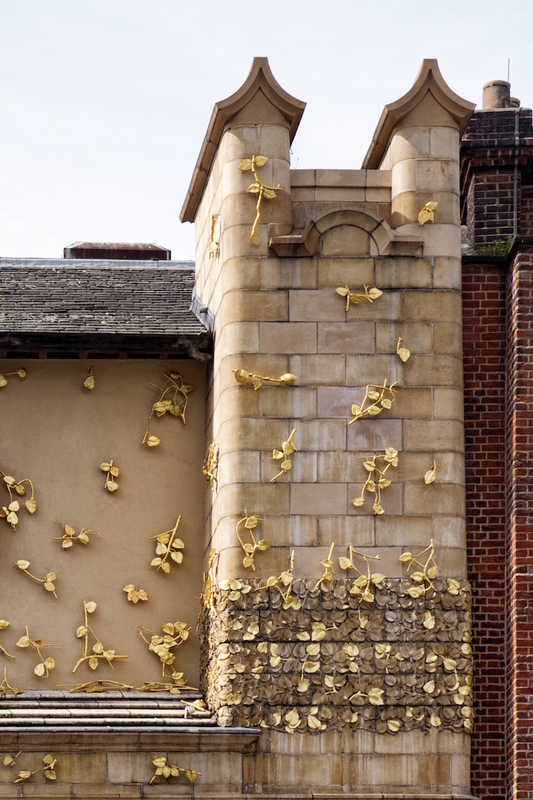 The original architecture was recently enlivened by the golden sculptures around its crown, contributed by Rachel Whiteread. The tree motifs resemble the logo of nearby Toynbee Hall, and amplify the arts-and-crafts heritage of the building. Less well known is Gwynne House, one of the area's few modernist buildings. Its cream contours rise from the more traditional streets around the Royal London Hospital. Designed by Hume Victor Kerr in 1934, the flats were originally rented out to trainee doctors and nurses, but are now in private hands as the Foxton's sign suggests. Tower House is an altogether different proposition. 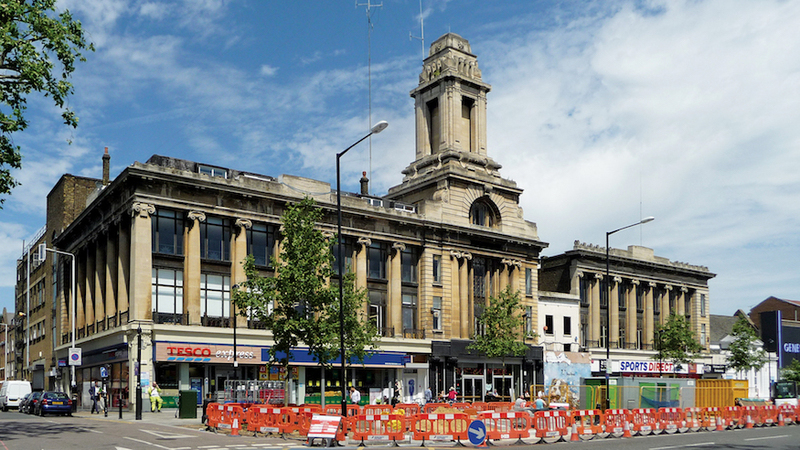 Its muscular form dominates Fieldgate Street near the East London Mosque. 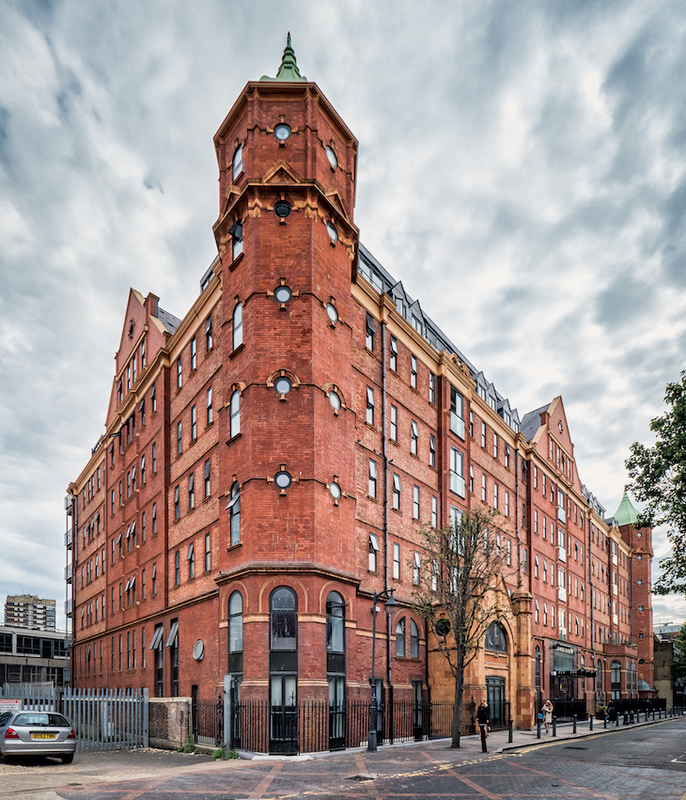 It was built in 1902 as one of the 'Rowton Houses' for itinerant workers, most of whom were otherwise homeless (the only other surviving example is Arlington House in Camden Town). Jack London and George Orwell both stayed in this 'monster doss house' while researching their books about London's downtrodden (The People of the Abyss and Down and Out in Paris and London, respectively). More remarkable still, Stalin spent two weeks here before finding better accommodation. Guess what: Tower House is now full of posh apartments. And finally, one of the most distinctive buildings of the East End, Christ Church Spitalfields. 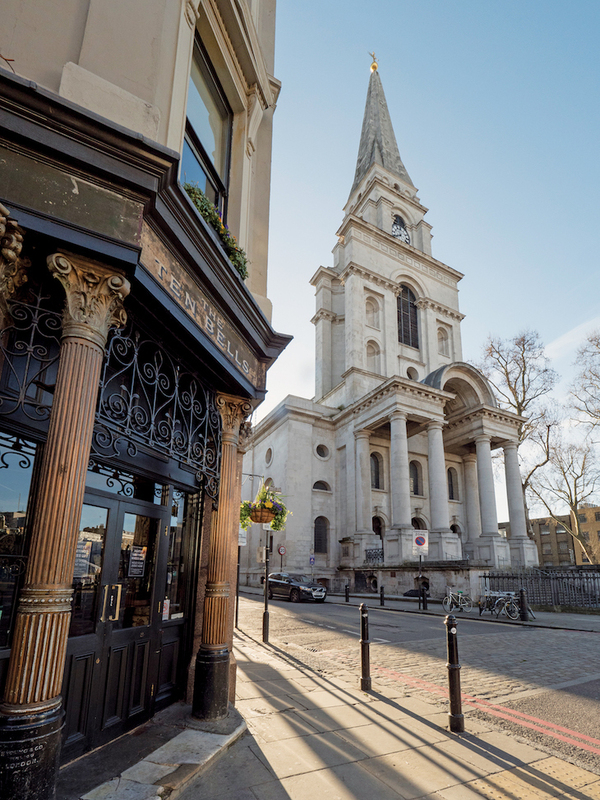 This Hawksmoor church is a familiar sight to anyone who's visited Brick Lane or Spitalfields Market, but we've rarely seen it looking finer than in this early morning shot, with the long shadows of dawn. Whitechapel in 50 Buildings by Louis Berk and Rachel Kolsky is out now from Amberley.